The Atlantic and Its Enemies: A History of the Cold War. By Norman Stone. Basic Books; 668 pages; $35. Allen Lane; £30. IMAGINE that you are invited to lunch at Oxford University. Sherry, wine and port flow like the Isis, with facts, anecdotes, bons mots and sparkling insights swirling past in a bewildering but entertaining array. The conversation continues on a punt, then on a brisk walk around the university parks, then over tea, which slips into (more) sherry, and afterwards a splendiferous “high table” dinner. Late at night you wobble through the darkened streets, still talking, feeling pleasantly at one with the world. It is great fun, but no substitute for actually studying history. That is how reading Norman Stone’s book about the cold war feels. 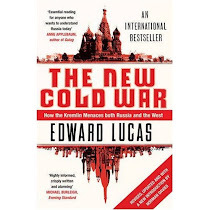 He has a terrific eye for detail, bringing to life everything from the ruins of Germany to Ronald Reagan’s White House with a wonderfully waspish turn of phrase: Nikita Khrushchev, unlike his colleagues, “did indeed have a human face, though pachydermic”. Sometimes it runs away with him. Boris Yeltsin is dismissed in barely a page as a “sinister clown”. He captures well the West’s weakness, as well as the seemingly powerful challenge that eastern-style socialism posed to Western freedom. At the end of this work you will know a lot about Europe, about the cold war and about Mr Stone himself. But the book has a careless air. The prose reads as if it had been dictated rather than written, and was then sent straight to the printers. The word “besides” appears with alarming frequency as a way of linking page-long paragraphs. Colloquialisms that would be charming once become grating and lazy when you meet them page after page. Episodes that normally count as rather important, such as the Polish shipyard strikes in 1980, pass in a blur, whereas hobby-horses such as the decline of British universities get an energetic ride. Nor is there any sign of research. When Mr Stone does not know a fact, he shrugs his shoulders. The reason why Russian immigrants poured into occupied Estonia and Latvia in the Soviet era, but not into Lithuania, is an interesting historical question which affects the present. He recounts it, adds “for whatever reason” and moves on. Teresa Toranska, a Polish author, wrote a magnificent book called “Them”, based on interviews with dinosaur communists. Mr Stone refers to her book but cannot be bothered to name it or her. Instead of footnotes, there is a section called “further reading”. For a polyglot, he is remarkably careless in his spelling of names. Diacritical signs are distributed at random. Experts and lay readers alike will feel increasingly short-changed. Most annoying of all is the lack of a conclusion: the book ends with a garbled account of the downfall of Margaret Thatcher and the limp observation that the 1980s were by far the most interesting part of the post-war era. Mr Stone’s colossal talents and his epic subject surely deserve better. IN THE churches of Warsaw and other Polish cities, the funerals continue but questions are looming. Why were so many of the country’s top brass on the plane that crashed on April 10th, killing President Lech Kaczynski, his wife and 94 others, including some of the country’s brightest and best military officers? Some of the relatives are, privately, furious. They say that their menfolk were ordered to travel to the Katyn memorial service as a backdrop for the launch of Mr Kaczynski’s re-election campaign. Bosses often waste busy people’s time for reasons of their own. But every decision that led to the crash now looks questionable. The decencies of mourning mean that media and political opponents are behaving gently. But that won’t last, especially when an even bigger question is in the air: what made the pilot decide to try to land at fog-bound Smolensk? He could have landed at Minsk, which would have been safer but would have ruined the commemoration ceremony by making the president late. Was that just the pilot’s decision? Did he have doubts? Was there any pressure from Mr Kaczynski? (In 2008 the president publicly berated a pilot for “cowardice”.) The answer may never be known. The cockpit voice recorder includes only the crew’s preceding 30 minutes of conversation; the decision to ignore an air-traffic controller’s suggestion to land at Minsk was made nearly 45 minutes before the disaster. A third question is whether Mr Kaczynski deserved burial at the Wawel Cathedral in Cracow. That honour is normally reserved for Poland’s greatest heroes: the most recent to be buried there was Wladyslaw Sikorski, the country’s legendary wartime leader. Mr Kaczynski’s death was tragic. But he was a divisive figure, not an epitome of Polish greatness. The answers to these questions may determine another: who wins the June presidential election. Jaroslaw Kaczynski, the late president’s twin, could stand, perhaps buoyed by a sympathy vote. But his chances look fragile. If some of the blame for at least the scale of the disaster ends up falling on the late president, the Kaczynski legacy would look even flimsier. Mr Kaczynski’s rival, Bronislaw Komorowski, is leading the opinion polls. In accordance with the constitution, Mr Komorowski, the speaker of the Sejm (the lower house of parliament) is already acting president. He should be a shoo-in. But his two public appearances since the crash have seemed wooden and unsympathetic. Some wonder if a cross-party candidate would be a good move, epitomising the new mood of national unity. But who? Despite the largely trivial political differences between the country's two main parties, Polish politics is sharply polarised. Away from the backbiting world of domestic politics, the immediate question is whether Poland’s relations with Russia have been genuinely transformed or if the changes are just cosmetic. Some see realpolitik at work, assuming that Vladimir Putin, the Russian prime minister, considers it worth making minor concessions over historical questions in order to fix relations with its large western neighbour, particularly given growing awareness of Poland's potential gas reserves. As for the Polish business lobby, profits in Russia loom larger than fiddly questions about history and justice. The biggest question is about Russia. Openness about Katyn and Stalinist crimes against Poland inexorably leads to questions about the still greater crimes of the communists against Russians themselves. Pull on the thread of truth and all sorts of things will start to unravel. Why is the mass murderer Lenin, the author of the Red Terror, still venerated on Red Square? Answers on a postcard to Mr Putin.